‘Arena of Valor’ News: New Reworks, Hopeful Skins, And… Kirito?! Welcome to 2019, everybody! Our typical Friday slot for the Arena of Valor weekly roundup means we’re already four days into the new year, but we already have some very exciting news! We’ll be kicking things off with that sliver of information (which you can probably spot in your peripheral vision down below). We’ll also be condensing each of our topics down a smidge going forward so that we can fit more headlines into each week, too. Let’s get the first AOV roundup of the year off to a great start! SAO‘s Kirito is Coming To AOV! In what we can only imagine is an effort to cross-promote both Arena of Valor and the ongoing third season of the Sword Art Online anime, Kirito looks set to enter Athenor in an as of yet undisclosed manner. Love it or hate it, there’s no denying that Sword Art Online is something of an anime phenomenon. Debuting back in 2012 following the lofty release schedule of the original light novels, Sword Art Online won over anime fans across the world, and even spawned a sub-genre of shows taking place inside video game worlds. With VR right around the corner at the time, Sword Art Online couldn’t have released at a better time. Teased by Garena earlier in the week, who handle Arena of Valor in some Asian territories, an image appeared showing Alice wielding Kirito’s famous blades. Soon after, images of Kirito alongside heroes Mulan and Miyamoto appeared in-game. Some think Kirito will adopt the movesets of one or both of these characters like a skin or “clone” alternative, but there’s also a chance this could just become a way to obtain Kirito’s swords as accessories to equip through new customization features spotted on the test server. As warned in last week’s roundup, the final Ranked season of 2018 came to a close at the end of the year. 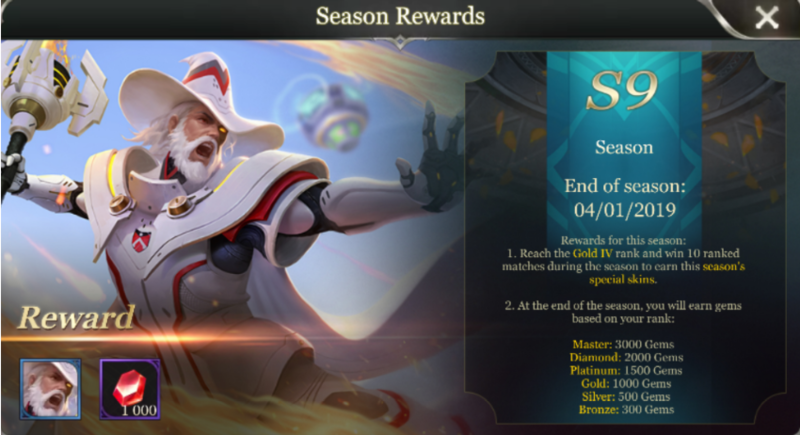 Rather than slip into a lengthy “pre-season” between runs, Arena of Valor jumps straight into the next, meaning the new season is already underway. Just like before, another new skin is up for grabs; and it’s Ignis is the spotlight this time around. Ignis made a miraculous comeback toward the end of last year thanks to a patch dropped during the big AWC competition. Already known at the time across Asia as the one to toss Ignis from the depths of third-party hero tier lists to near the top. Causing a major upset in the game’s meta even before Riktor and Quillen came into the fold, Ignis’ time in the spotlight hasn’t ended just yet, with this fitting skin dished out for free to most players with 10 Ranked games under their belt that turns the powerful fire mage into what can only be described as Gandalf the White. Appearing through Reddit over the course of this week, numerous new features and cosmetic content hit the Asian versions of the game in the new year, stirring speculation of what’s to come across the pond in time. With Indonesian/Taiwanese/Vietnamese YouTube channels covering Arena of Valor for quite some time now, there’s always a lead to follow when it comes to new content thanks to the existence of the test server used to prepare new patches before deployment. This time around, we’re looking at a mix of both test and live content to speculate over set to arrive in English versions of the game going forward. Posted by Relchan over on Reddit, the latest test server update issued five big character/skin redesigns in the same vein as Alice, Maloch, and a few others from last year. 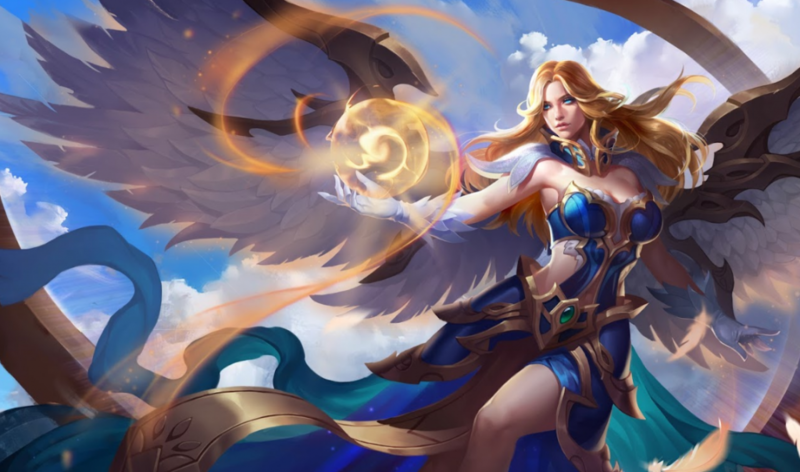 Chrest, Azzen’Ka, Yorn, Thane, and Valhein’s Nethra skin are among those set to heavily change at some point down the line, with an “optimized MVP system”, hero accessories, and publically viewable win rates also featured. As for the sheer speculation, a dozen or so new hero portraits could potentially be teasing some upcoming skins. There’s a handy infographic over on AOVStats for those not able to view the original source video, but just know that the girls and looking cute, and the guys are looking fierce (except Cresht. Cresht is sobbing). 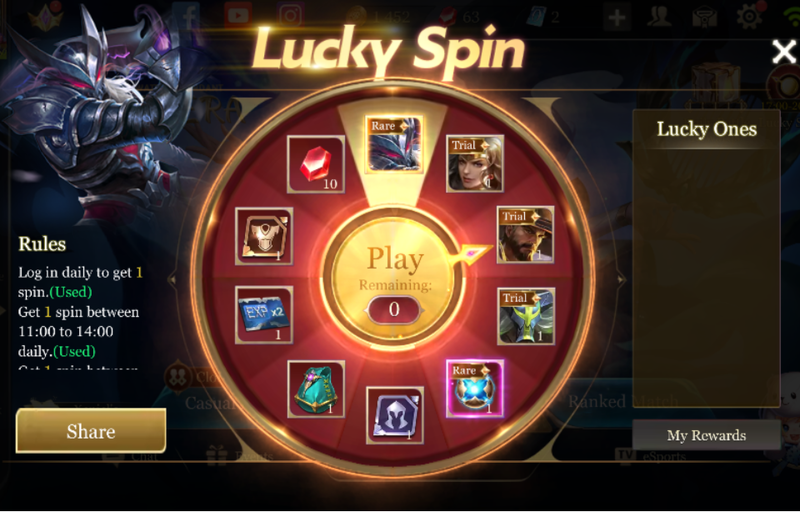 Arena of Valor’s 2019 nearly got off on the wrong foot when players began to report the Lucky Spin wheel, a staple of the game’s daily log-in screen, had vanished. Rewards typically stayed the same for months at a time, and with tough RNG causing most players to amass stacks of useless Rename and Trial Cards, the Lucky Spin wasn’t the most popular side activity. So kicking off 2019 with the removal of the activity was a bit of a mixed bag. The Lucky Spin wasn’t great, but it was entirely free. Other campaigns – like the traditional Log-in reward calendar – had made the Lucky Spin feel even more pointless over time, but players were still confused and shocked to see it disappear without warning. Just a few days later, however, Lucky Spin returned untouched. The rewards are the same as ever before, meaning players with each of the wheel’s trial heroes can get back to farming Gems to fuel their gatcha addictions, whereas newbies can look forward to somewhat useful arcana bags. It would be nice to see the rewards chance again soon, but given its silent removal and subsequent return, we honestly have no clue what to expect. Even with Sephera arriving in-game last week, it’s still Quillen on the minds of the masses – at least if Reddit is anything to go by. 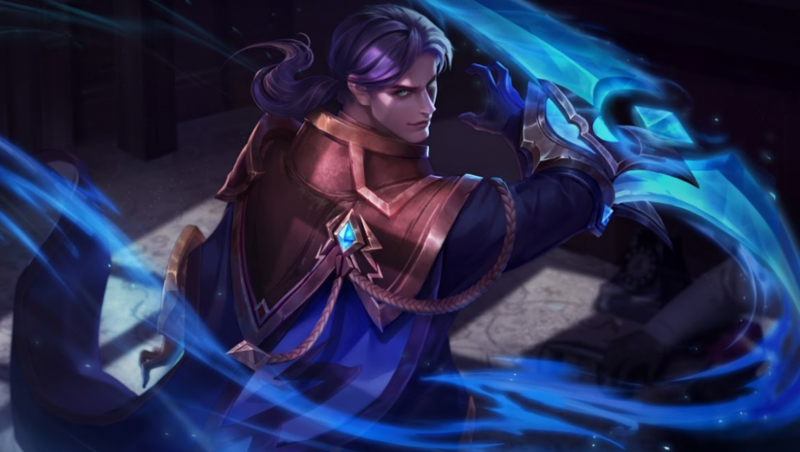 Able to cloak around the battlefield and deliver devastating critical strikes from behind, Quillen has become the go-to Jungler for those able to buy him, with a large percentage of 5v5 matches – whether Standard or Ranked – having at least one Quillen present. What’s causing his rise to power isn’t his overall strength per-say, but the lack of knowledge related to countering his toolset. Quillen essentially prays on the fear of his targets by striking hard when they turn their back to him to run away. Take him head on and his damage drops off considerably. Paired with decent pressure early on, or consistent CC in the late game, and he’s an easy target for your team to bait, trap, and focus down. But constant complaints of his raw assassination capabilities on Reddit is fuelling panic and retreat mindsets, starting a destructive chain reaction of similar threads. There’s a strong chance the character will get nerfed in the next update, but players expecting any drastic changes will likely be disappointed. Quillen is not the problem. And last, and probably least if complaints about the waning Nintendo Switch version player base is anything to go by, Lauriel is set to make her debut tomorrow, Saturday, January 5. She’s one that might actually suit the trickier controls of the controller-enabled game. Upon first inspection, Lauriel looks like a Mage. And she is. But there’s a reason why she’s floating that doesn’t quite match those like Azzen’Ka. Lauriel is far more suited to close-quarters combat than your typical magic-wielding hero. Rather than firing out blasts from a safe distance, Lauriel floats above the ground to remain nimble in the fight, allowing her to essentially glide or “dance” around her victims. With a powerful AOE that damages targets and adds some serious cooldown reduction to her skills, Lauriel primes herself as a quick-fire mage capable of prolonged fights if she’s able to keep her enemies within arms length. The rapid cooldown reduction offered by her circle paired with her auto-aim and wide-range abilities turns Lauriel into a dodge-heavy machine gun mage with the potential to root and blast down tanks with a flurry of never-ending spells. Great for those who like to mash their controller buttons without much of a second thought. As ever, she’ll be available for 18,888 Gold or the usual Voucher cost. Expect an introductory Voucher price reduction, too.